Consumer faith in live coverage distributed via over-the-top (OTT) video platforms is growing, according to a new report from Conviva. According to the company, adoption of live-streamed content has increased as quality has improved, with plays up by 49 percent and viewing time up 54 percent year-over-year for all live TV content. This is good news for streaming TV services like FuboTV and SlingTV, which both offer a variety of live programming. Consumers have been weary of paying for streamed live content, especially for sports where a delay or cut in coverage could mean missing the winning play. A recent study from Phenix, a provider of real-time IP video solutions — found that because of buffering nearly one in three — 31 percent — consumers don’t want to pay extra to stream live content. That concern isn’t unwarranted: it was just last July that YouTube TV’s coverage of the World Cup went out for around 40-minutes and both Fubo and SlingTV have also suffered minor outages since their launch. But according to Conviva, NFL live viewing — which in September alone accounted for roughly 3 percent of total streaming plays and viewing hours in the U.S. — was up 72 percent in plays and 83 percent in viewing hours year-over-year. Additionally, even with the outages from platforms like YouTube TV, Conviva says that the World Cup drove a 10 percent bump in overall streaming traffic during the tournament. The World Series was another major live stream event for many consumers. On Fox Sports streaming platforms, for example, Game 5 was the fourth-most-streamed game in World Series history, garnering an average-minute audience of 240,000, up +40 percent from 2017’s Game 5 (172,000), according to the network. In addition to an increased appetite for streaming live programming, Conviva found that connected TV’s (CTV) are continuing to gain in popularity among cord-cutters and cord-nevers. The report found a 145 percent increase in plays on CTVs, while PCs declined by 18 percent. Overall, Conviva’s report found that globally time spent watching content via OTT has increased by 53 percent year-over-year. Conviva is a real-time measurement and intelligence platform for streaming TV, with a global footprint of 50 billion streams per year across 3 billion applications and 200 million users. Sunday marks 15 years since 9/11, and Hollywood has struggled all that time with how to address it. 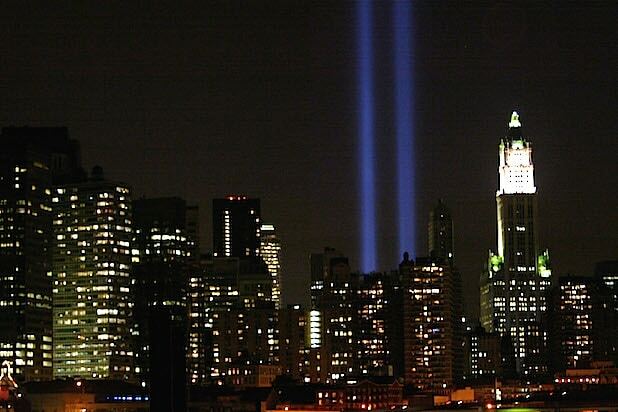 Here’s how 19 films and TV shows tried to tell stories tied to Sept. 11, 2001. The first episode of the always topical dark comedy to air after 9/11 revolved around America’s invasion of Afghanistan. Creator and showrunner Aaron Sorkin wrote this special episode, about a fictional terrorist attack, and it aired just three weeks after the attacks. The 9/11 attacks occurred during Season 12 of the long-running drama, and several later episodes revolved around it, including one episode where a woman’s remains were dumped at Ground Zero in order to cover up a murder. Shot a few months before the attacks, the Fox spy thriller became more timely and relevant than it ever intended to be. This drama about New York City’s first responders remembered 9/11 with a non-fiction episode, followed by two episodes putting its main characters directly in the aftermath of 9/11. Spike Lee‘s drama, featuring a pivotal scene within sight of Ground Zero, was the first major film to confront 9/11. It premiered in December 2002. The Dennis Leary dramedy focuses on a firefighter who lost his best friend in the 9/11 attacks. The events of that day would reverberate through the entire series. This Disney Channel original movie saw Hayden Panettiere‘s character dealing with the events of 9/11 as they happened, while on a cruise with military members and their families. Paul Greengrass took a straight, fact-based approach to tell the story of the passengers who tried to take back the plane. Oliver Stone‘s drama portrayed the events of 9/11 from the perspective of first responders. Adam Sandler played a man struggling five years after the 9/11 attacks killed his wife and daughter. Uew Boll’s crass comedy opened with a scene joking about fictional 9/11 hijackers – suggesting that they flew into the North Tower of the World Trade Center by accident. The comedy threequel followed the best friends as they’re detained and sent to Guantanamo Bay, after a paranoid fellow plane passenger mistakes Kumar’s bong for a bomb. The season one finale of the sci-fi drama featured an alternate world, where the 9/11 attacks hit the White House instead of the Twin Towers. Set in 2002, Amy Adams‘ character Julie starts cooking as a way to get away from her stressful day job of fielding calls from 9/11 victims during the rebuilding of the World Trade Center. The Robert Pattinson drama had a twist ending that culminated in the 9/11 attacks. Many people found it an odd fit. This Nicholas Sparks adaptation starring Channing Tatum and Amanda Seyfried featured flashbacks that saw one character re-enlist in the army due to the 9/11 attacks. Stephen Daldry‘s adaptation of the Jonathan Safron Foer novel followed a kid who lost his father in the 9/11 attacks. Set in a distinctly post-9/11 world, the series started off mirroring the themes of paranoia and terrorist threats present in the US in the years following the attacks. Mira Nair’s thriller is based on Mohsin Hamid’s novel about a Pakistani man (Riz Ahmed) who’s a rising star on Wall Street until 9/11 upends both his career and his personal life as he becomes the subject of suspicion. Charlie Sheen, Gina Gershon and Whoopi Goldberg star in a flawed adaptation of a play called “Elevator” about people trapped in the World Trade Center that fateful day, but it never becomes the tacky exploitation exercise that you might expect.